It was announced on Tuesday that the dean of the Louisiana College law school, based in Shreveport, has resigned from his post. The dean was J. Michael Johnson and his resignation could delay the opening of the law school. Johnson resigned from his post for a ‘great job offer,’ according to Louisiana College President Joe Aguillard. Aguillard did not disclose what the job was that Johnson has accepted, according to the newsstar.com. The law school was supposed to open during the fall semester of 2013 but that date could be pushed back with Johnson’s resignation. 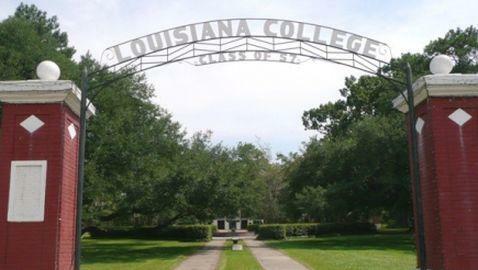 Aguillard did say that replacing Johnson will include long-term plans for the college. Johnson began his time as the dean on July 1, 2010. “It has been my honor and privilege to serve this institution, and I have committed to continue working with and supporting Louisiana College in the future,” Johnson said. On Tuesday, the Board of Trustees for Louisiana College met to determine how to move forward without Johnson. At this time, no interim dean has been named. Aguillard said that it has not been determined if an interim dean even will be named. The college is going to search nationally for a new dean. The law school has yet to enroll any students. The original announcement from Louisiana College that it would open a law school came in August of 2007. The school said it would begin enrolling students in fall of 2009. Then, the school announced that the law school would operate in a Shreveport building, moving the opening to the fall of 2012.